The father of modern Italian novel, Italo Sevo was an Italian novelist, playwright, short story writer, essayist, critic and business man. He was born into a well off Jewish family in Trieste, Hungary on December 19, 1861. His father was of German descent. He studied at the Brüssel Institute in Germany and developed an interest in literature at a very young age and keenly read Russian classics. Upon return to Trieste, Svevo attended Instituto Superiore Revoltella. When his father went bankrupt in 1880, Svevo was forced to take up responsibility and he began to work as a clerk at Viennese Union Bank, walking out on his studies. The 20 years routine of working at the bank and a usual life became the inspiration for his debut novel, Una vita (1893, A Life). 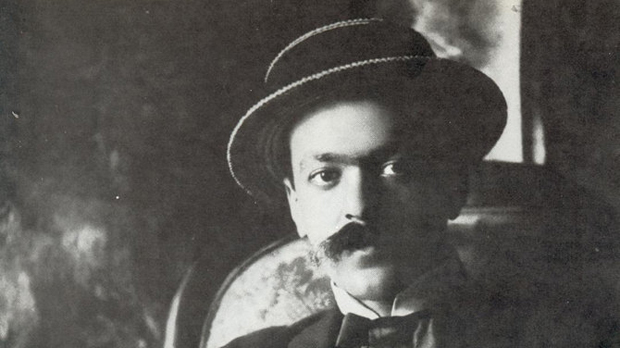 After the death of his parents in 1898, Svevo married his cousin, Livia Veneziani and joined her family’s business of manufacturing marine paints. He worked hard, travelled a lot and eventually took over the management and administration of the business after his father-in-law’s demise. Italo proved to be a successful business man and published his first novel Una Vita by sponsoring it himself. However, the novel did not gain much recognition. Unfortunately, his second effort at novel writing Senilità (1898) also did not do well. For 25 years after these disappointments, Svevo did not publish again. Svevo’s literary efforts were recognized for the first time when he met James Joyce, a writer. Svevo had started learning English under his guidance and the two spent hours discussing literature and exchanging views on each other’s work. Joyce showed a likeness for Svevo’s Senilità and helped publish it in English language. Joyce also suggested its English title, As a Man Grows Older. Svevo’s alliance with Joyce became a lifelong friendship. Italo’s third attempt at novel writing proved to be a success and Svevo is still best known for his book, Confessions of Zeno (1969). This novel too initially went unnoticed by critics and reader. However, on Joyce’s recommendation it was translated into French after which the novel received immense praise in Paris. Critics in Italy too began taking notice of the novel after its increasing popularity in France. The novel’s central character, Zeno Cosini is almost a mirror image of Svevo himself, a businessman inspired by Freudian theory who is writing an autobiography to help his doctor find the origin of his smoking habits. Some more of Svevo’s appreciable work includes collections of short fiction La novella del buon vecchio e della bella fanciulla (1930, The Nice Old Man and the Pretty Girl, and Other Stories) and another collection, Corto viaggio sentimentale e altri racconti inediti (1949, Short Sentimental Journey, and Other Stories). Sadly, Italo did not live to witness the publication of these collections. His last work, Further Confessions of Zeno (1969), was left incomplete. It was supposed to be a sequel to Confessions of Zeno. Italo spent the last years of his existence lecturing on his own work and writing Further Confessions of Zeno. He died on September 13, 1928, a few days after encountering a car accident which weakened his already suffering heart. Today a statue of Italo Svevo stands tall in Piazza Hortis, in front of the national museum of natural history of Trieste.